Jigga Parekh gave a fine all-round display as Ifield bounced back with a battling win away to Pagham. Ifield batted first on a pitch that had taken a lot of rain and was a little unpredictable. Greg Barton, Joe Cooke and Guru Kedarnath were all back in the clubhouse and the score was still only on 15 it looked like the previous week’s batting woes had returned. Graeme Dean back in an opening role dropped anchor at one end and in skipper Jack Groves found someone to score runs at the other end but when Dean departed for a patient 20 this was followed almost immediately by the wicket of Zakir Siddiqui for 0 to leave Ifield still in big trouble at 40 for 5. Groves went on to make an important 30 before he was bowled and this was followed by the wicket of Saleem Ali without scoring and at 65 for 7 Ifield were staring down the barrel. Pratik Patel and Jigga Parekh put together an eighth wicket partnership of 40 before Patel was out for 15 and then Parekh and Daniel Groves put on a further 31 with Groves hitting 27 from 18 balls including two big sixes. Parekh was last man out for a really sensible and well played 30 and with a total of 143 on the board on a difficult pitch Ifield felt they were back in the game. Daniel Groves and Pratik Patel opened the bowling and straight away had Pagham in trouble when opener Hanks was caught by Antonio Darrell at cover off the bowling of Groves for just 1 quickly followed by Metz being clean bowled by Patel for 8. Dan Groves pinged in a great throw over the stumps and Jack Groves did the rest to run out Pagham’s overseas player Eranga Dissangge and the home side were 25 for 3 and it was game -on. 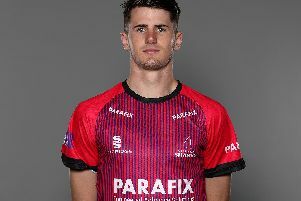 Pagham dug in and it became attritional cricket with runs hard to come by and the Ifield spinners Kedarnath and Parehk exerting control and it was another 18 overs before the breakthrough came when Kedarnath bowled the Pagham captain Stuart Rutter for a patient 84 ball knock of 22. This proved to be a crucial wicket and it was followed 8 runs later by Parehk having Justin Scott caught by Daniel Groves at deep square leg for 6. 72 for 5 became 75 for 7 when Parekh picked up two more wickets in one over it was left to the spinners to pick up a further wicket each to secure an excellent 32 run victory. Next week Ifield host St James at Ifield Green.